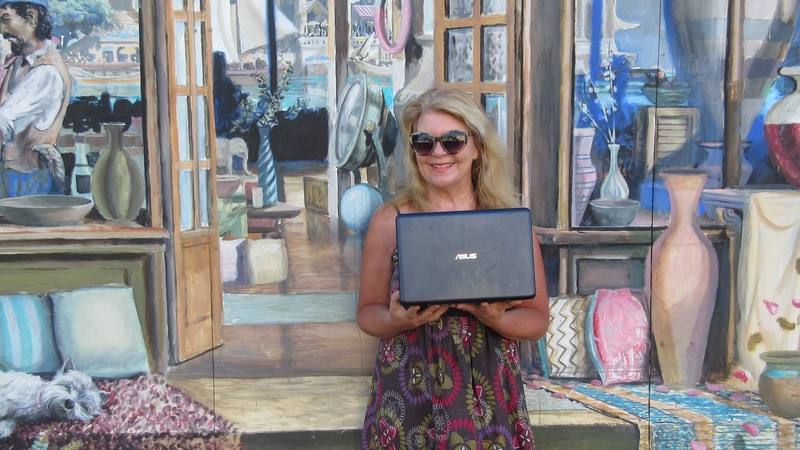 It was my third year blogging for the exceptional SHAW theatre festival at Niagara on the Lake in Ontario Canada. I’ve been to this lovely place four times now and its starting to feel like home. Some say its the prettiest town in Canada, and while I don’t have many other towns in Canada to compare it with, I think it must be a pretty safe bet. The beautiful painted wooden houses with coloured shutters and stunning gardens fringe the huge glittering, glacial lake which is so large it seems to be the sea. I particularly fell in love with the giant white Hydrangeas which are quite common here. 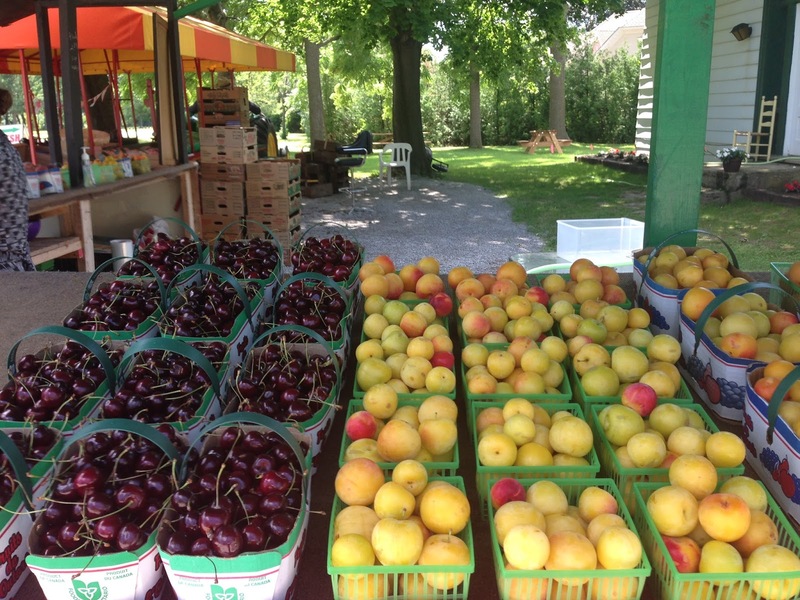 Niagara on the lake still has a small town community feel to it – an increasing rarity in this modern world and while it seems like something of a lost-in-time chocolate box pretty place, it is in fact a site of great historical significance. The Canadians fought fiercely here on the side on the British against America in 1812 and the location was the site of many battles and hundreds of soldiers lost their lives on this verdant soil. The Niagara escarpment also has its own micro climate making it feel particularly tropical in the summer and a little less harsh in the winter. This makes it ideal for growing fruit and the place is abundant with cherries, peaches, plums and apricots at this time of year. Since the 1970’s it has also become a very successful wine region, growing familiar grape varieties, with locals now making their own Canadian wine. When I first tasted Canadian wine – being a bit of a wine buff – I was not that impressed I have to say. However, we did have some very nice vino on this trip, so they are definitely starting to get the hang of it. 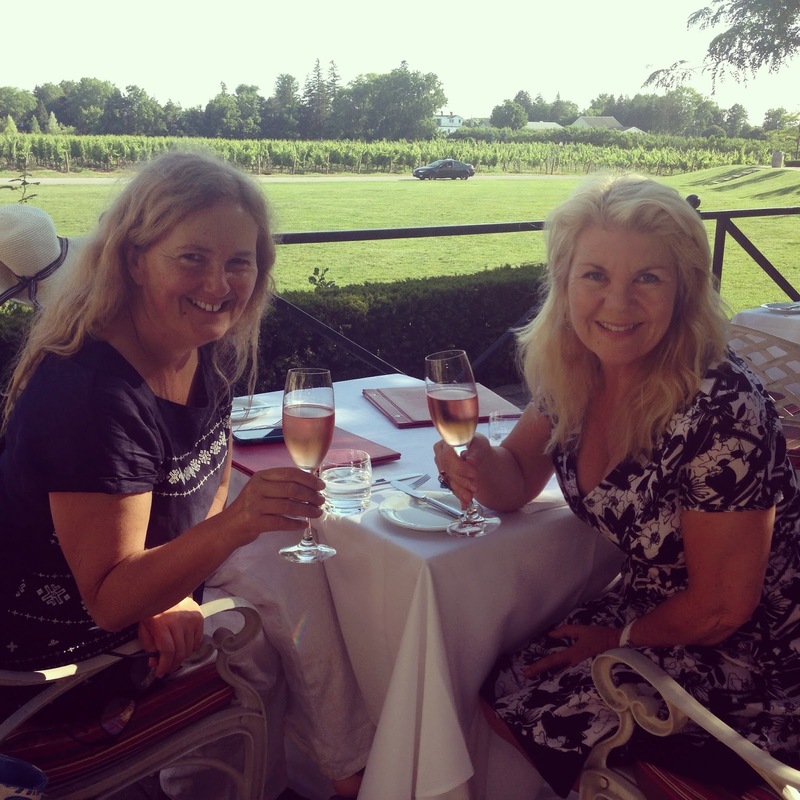 Dinner at the Peller vineyard on a beautiful summer evening overlooking the vines is a delightful experience indeed. A beautiful restaurant, gorgeous food (I had lobster, yum yum) first class service, and a view to die for. Watching the sun sink over the rows of vines creating lines of lengthening shadows, I even braved the Prince Edward Island oyster which arrived with an ice wine gele as an ‘amuse bouche.’ It tasted a lot better than it looked with the added bonus that my zinc consumption for the day was sorted. 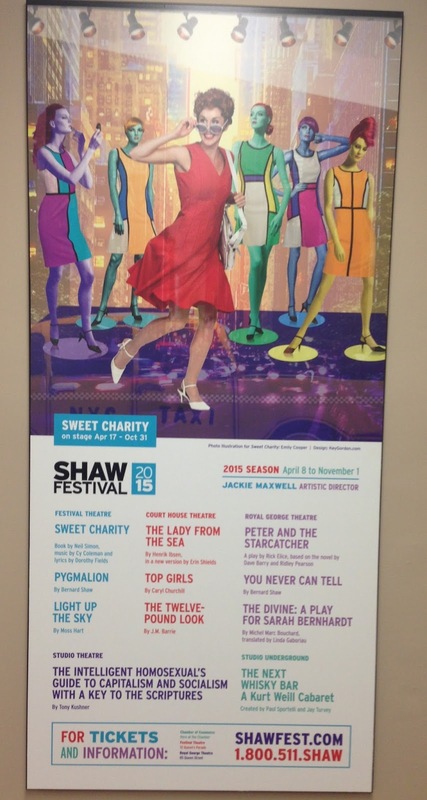 We then headed to the SHAW festival theatre for that night’s performance of the musical Sweet Charity. First though, we just had to raid the SHAWP (Shaw Shop) and buy some merchandise which is usually very cool stuff, and I can never resist a good fridge magnet. Sweet Charity is one of my favourite musicals and I know it very well from the Shirley Maclaine film which I’ve seen many times and I love all the songs too. I was excited to see it on stage for the first time and I have to say I wasn’t disappointed. The Shaw certainly know how to stage a show. From the top class live music to the stunning sets, colourful costumes and clever choreography this was a stunning production. Julie Martell worked her a** off as Charity Hope Valentine – you do need some stamina to sing and dance at the same time over any length of time – I know because I’ve tried it – and she convinced entirely as Charity with her joie de vivre and eternal belief that love would save her from her dubious life. The dance numbers were exhilarating and we loved The Rhythm of Life, Big Spender and If My Friends Could See Me Now as particular favourites. I nearly got to meet Julie to ask her about her role in more depth but there was a mix up at Balzac’s coffee shop and we missed each other which was a shame. Ultimately it’s a cracking show which is a visual and audible treat and I could easily have watched it again the next night. It doesn’t really have a happy ending (which some patrons may not have liked) but it is finally about the triumph of hope over experience which is a lesson we all sometimes have to learn. 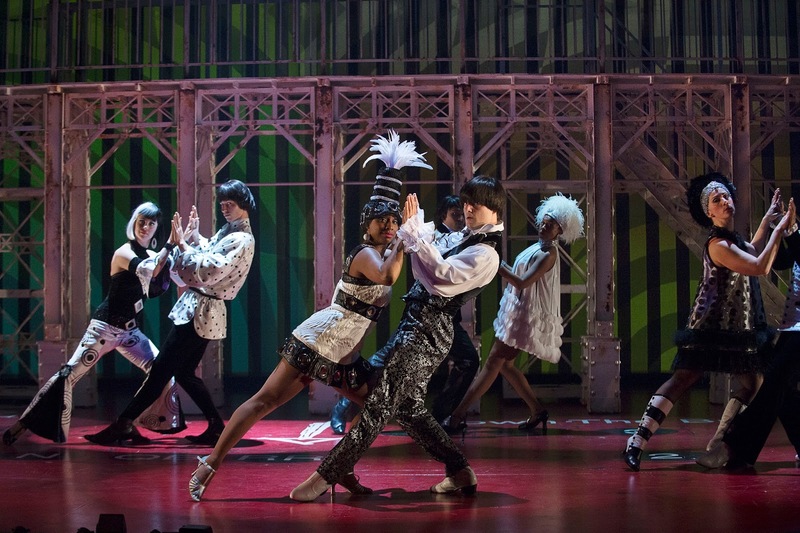 Canada is a long way from the UK where I live, but Sweet Charity was definitely worth the trip – if you get the chance, go and see it at the SHAW festival which is on right up until October.